Prof. Dr. Manfred Hauswirth has been the executive director of the Fraunhofer Institute FOKUS since October 2014 and holds the chair of “Open Distributed Systems” at the Technische Universität Berlin. Hauswirth previously served as Deputy Director of the Digital Enterprise Research Institute (DERI) in Galway, Ireland. In addition, from 2016 to 2018 he was spokesman of Fraunhofer’s Berlin Center for Digital Transformation. In his research work, he engages particularly with distributed information systems, the internet of things, data stream processing and artificial intelligence. He has won several international awards for his work in these areas and is active in many scientific and political committees around digitization: He is principal investigator at the Weizenbaum Institute for the Networked Society (the German Internet Institute), in the Einstein Center Digital Future (ECDF), the Berlin Big Data Center (BBDC) and the Helmholtz-Einstein International Berlin Research School in Data Science (HEIBRiDS). Manfred Hauswirth is also associate editor of the IEEE Transactions on Services Computing, member of the IEEE Computer Society Conference Advisory Committee, partner in the Web Science Trust Network of Laboratories (WSTNet) and on the supervisory board of the EIT ICT Labs Germany (European Institute of Technology). Prof. Dr.-Ing. 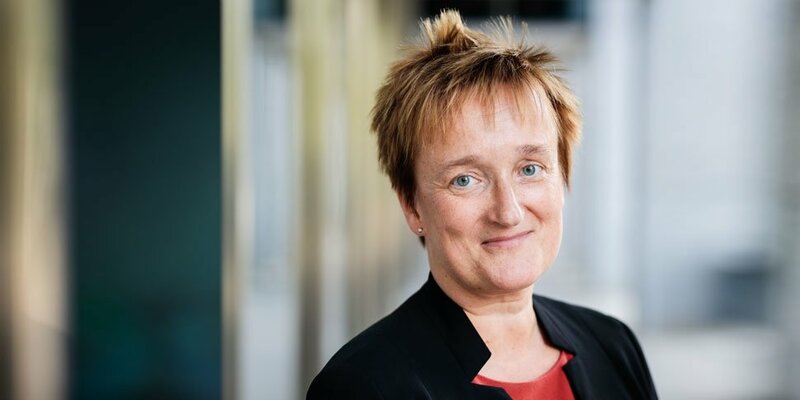 Ina Schieferdecker has been working at the Fraunhofer Institute for Open Communication Systems FOKUS since 1993 and has been heading it together with Prof. Hauswirth since January 2015. In addition, she has been holding a professorship in “Quality Engineering of Open Distributed Systems” at the Technische Universität Berlin since 2016. Since 2017, she has been the founding director of the Weizenbaum Institute for Networked Society, the German Internet Institute, and has been a director there since April 2019. Her research interests include urban data platforms, critical infrastructures, internet technologies and the conformity, interoperability, security and certification of ICT-based systems. She is president of the “Arbeitskreis Software-Qualität & Fortbildung” (ASQF) and member of the National Academy of Science and Engineering (acatech), member of the German Advisory Council on Global Change (WBGU), member of the steering committee of the Science Platform Sustainability 2030 and board member of the Technologiestiftung Berlin. She is also a member of the High-Tech Forum, the Federal Government's central advisory body for research and innovation. Furthermore, she is co-founder of Testing Technologies IST GmbH (now Spirent Technologies GmbH) and Ingrano Solutions GmbH.